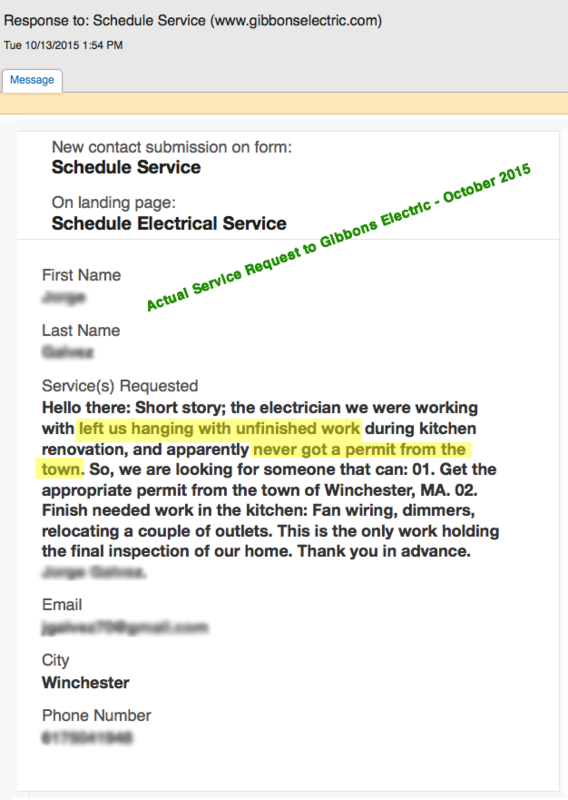 Most states require an electrician to be licensed so considering one that is not should be avoided. Look for a properly licensed Master electrician as this ensures he or she has the most experience and is licensed for both the design and installation of your project. There should only be one acceptable answer to this question – YES. Most if not all professional electricians will have insurance, and if they do not this should be a deal breaker. With an element as dangerous as electricity proper insurance is critical. What specific training, experience and/or credentials do you have? If you have a specific project calling for specific skill sets, e.g. ; installing solar panels for your home – seek out an electrician with this particular experience. Also, affiliation with the BBB and industry trade groups is helpful in establishing professionalism and credibility. Do you have references from customers with a similar project to mine? Ask for three to five and ask if it is ok to call these previous customers. 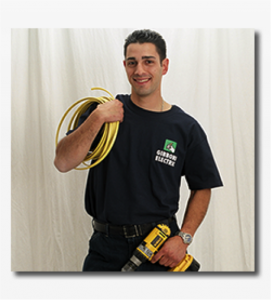 Most reputable and professional electricians welcome the opportunity to differentiate themselves from the competition by providing references. Who will actually be performing the work? Always confirm who will actually be doing the work – some contractors hire outside subs. Is a permit required and who will obtain it? What is and is not included in the estimate? If the project includes floor, ceiling, tile, etc. removal and/or repair to accomplish the job the homeowner, more than likely, will be responsible. Make sure you fully understand what is and what is not in the estimate to ensure you have captured all costs associated with your project and negate any cost overruns not budgeted for. What are the warranties and guarantees honored? A professional electrician will always give some type of warranty and/or guarantee on work performed – most will stand behind any electrical fixtures purchased on your behalf and warranty workmanship quality for a stated period of time. How long have you been in business and what are your references? Companies grow and become established through practices of solid work performance and good safety ratings. Do a web search for customer reviews and any other pertinent information found before signing a contract. Often times additional information you may not have thought to ask about would be available here. A company lacking a web site in today’s market should be a real concern as all established electrical contractors would have one. Next Next post: Does Your Home Have Knob & Tube Wiring?